The iconic "Got Milk?" 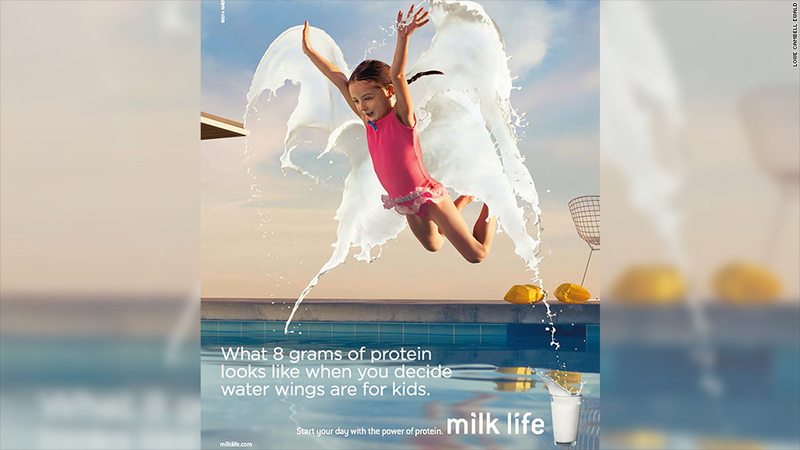 tagline ads are being dropped after 20 years and being replaced with "Milk Life" ads touting milk's protein power. "Got Milk?" is one of the most recognizable ad campaigns of the past 20 years. But the iconic ads are getting axed as the industry looks for a new hook to increase milk consumption amid declining sales. "The reason why we used celebrities at the time was to help improve milk's image," said Sal Taibi, president of Lowe Campbell Ewald, the agency involved in the "Got Milk" ads. "The idea was to convey the message that everybody drinks milk, even successful cool people." The new ads, which roll out Tuesday, have the tagline "Milk Life" and feature ordinary people and tout milk's protein richness. "We want to show how milk can help you power through everyday moments and everyday achievements," said Taibi, whose agency also conceptualized the Milk Life ads. The ads are commissioned by the Milk Processor Education Program (MilkPEP), which is spending $50 million on the marketing effort. Not only is milk consumption declining -- with sales down about 1% each year for the past two years -- consumers also aren't aware of its other nutritional benefits, she said. "Milk is a rich source of protein. There are 8 grams of protein in every 8-ounce serving of it," Kadison said. One ad shows a little girl jumping into the pool without any protective gear. Milk gives her the "wings" (and, presumably, the confidence) necessary to make the jump. "All the ads will use special effects to show the energy you get from milk," said Taibi. "It could be through wings, a parachute or even propellers."